Igor Stravinsky – Russian composer, pianist, and conductor. 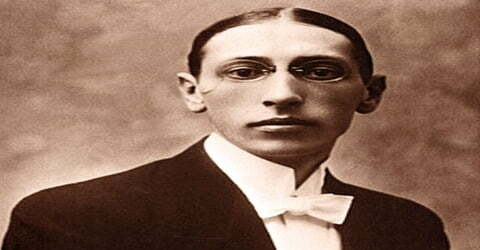 The Russian-born American composer, Igor Stravinsky was born on 17 June 1882 in Oranienbaum, a suburb of Saint Petersburg, the Russian imperial capital, and was brought up in Saint Petersburg. He was identified himself as an “inventor of music.” The novelty, power, and elegance of his works won him worldwide admiration before he was thirty. Throughout his life, he continued to surprise admirers with transformations of his style that stimulated controversy. Born in the late nineteenth century to a musician father in Russia, Stravinsky was sent to the University of Petersburg to study law; but he never became a lawyer. Instead, he studied music under noted composer Nikolai Rimsky-Korsakov and went on to become one of the twentieth century’s most celebrated composers. He first achieved international fame at the age of twenty-eight with a ballet called ‘The Firebird.’ Since then, his life, as well as his creations, has been divided into three distinct phases. Initially, his works were based on Russian myths and folklore. Experts have named this period of his life as the Russian phase. His compositional career was notable for its stylistic diversity. Stravinsky first achieved international fame with three ballets commissioned by the impresario Serge Diaghilev and first performed in Paris by Diaghilev’s Ballets Russes: The Firebird (1910), Petrushka (1911), and The Rite of Spring (1913). The last of these transformed the way in which subsequent composers thought about rhythmic structure and was largely responsible for Stravinsky’s enduring reputation as a musical revolutionary who pushed the boundaries of musical design. His “Russian phase” which continued with works such as Renard, the Soldier’s Tale and Les Noces, was followed in the 1920s by a period in which he turned to neoclassical music. The works from this period tended to make use of traditional musical forms (concerto grosso, fugue, and symphony), drawing on earlier styles, especially from the 18th century. Next, from 1920 onwards, he began to live in France and cut off from Russia and started following Neo Classicalism; experts call this phase as the French phrase. The last phase is known as the American phase. In this period, he became an American citizen and mainly used serial compositional techniques in his creations. Almost all his pieces have a distinction of their own and many of them have found a place in the standard repertory. Stravinsky rose to fame in the early 1900s for his compositions for the Ballets Russes, including the controversial The Rite of Spring. Stravinsky brought his family to Switzerland and then France, continuing his output with such works as Renard and Persephone. After moving to the United States in 1939, he completed his famed Symphony in C and became an American citizen. In the 1950s, Stravinsky adopted serial procedures. His compositions of this period shared traits with examples of his earlier output: rhythmic energy, the construction of extended melodic ideas out of a few two- or three-note cells and clarity of form, and of instrumentation. Igor Stravinsky, in full Igor Fyodorovich Stravinsky (Russian: И́горь Фёдорович Страви́нский), was born on 17 June 1882 in Oranienbaum near Saint Petersburg in Russia. His father, Fyodor Ignatievich Stravinsky, was a well-known bass opera singer and actor, attached to the Mariinsky Theatre of St. Petersburg. His mother was Anna (née Kholodovsky), Stravinsky. Nevertheless, his own musical aptitude emerged quite slowly. As a boy, he was given lessons in piano and music theory. But then he studied law and philosophy at St. Petersburg University (graduating in 1905), and only gradually did he become aware of his vocation for musical composition. Stravinsky’s father died from cancer in late 1902. In 1902 he showed some of his early pieces to the composer Nikolay Rimsky-Korsakov (whose son Vladimir was a fellow law student), and Rimsky-Korsakov was sufficiently impressed to agree to take Stravinsky as a private pupil, while at the same time advising him not to enter the conservatory for conventional academic training. By 1905, Stravinsky had begun to take twice-a-week private lessons in the orchestra from Rimsky-Korsakov. Soon, he started treating the elder musician as his second father and discussed his new compositions with him. In 1906, when it was time to sit for his final law examination, Stravinsky was refused permission because of low attendance. However, he was granted a half-course diploma. Subsequently, he began to concentrate on music. On 23 January 1906, Igor Stravinsky married his cousin Yekaterina Gavrilovna Nosenko or Katya, in the face of great opposition from the Orthodox Church, to which Stravinsky belonged. They had four children, Fyodor (1907 and Ludmila (1908), Soulima (1910) and Marina Milena (1913). Soulima later grew up to become a composer. Stravinsky met Vera de Bosset, a Russian born American dancer, in Paris in February 1921, while she was married to the painter and stage designer Serge Sudeikin, and they began an affair that led to Vera leaving her husband. In September 1924, Stravinsky bought “an expensive house” in Nice: the Villa des Roses. From 1931 to 1933, the Stravinsky’s lived in Voreppe, near Grenoble, southeastern France. Stravinsky continued leading a double life, dividing his time between Vera and his family until the death of his wife from tuberculosis in 1939. Finally, Stravinsky and Vera got married in Boston on March 9, 1940. The Stravinsky became French citizens in 1934 and moved to the rue du Faubourg Saint-Honoré in Paris. Stravinsky later remembered this last European address as his unhappiest, as his wife’s tuberculosis infected both himself and his eldest daughter Ludmila, who died in 1938. 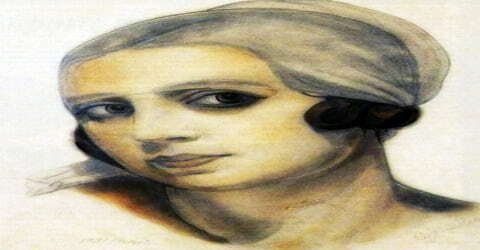 Katya, to whom he had been married for 33 years, died of tuberculosis three months later, in March 1939. In 1909, the founder of the Ballets Russes, Sergei Diaghilev, invited Stravinsky to orchestrate a couple of Chopin works for his ballet Les Sylphides. That, in turn, led to the commission of The Firebird; collaboration with choreographer Michel Fokine, the ballet turned Stravinsky into a household name upon its premiere in Paris in June 1910. The composer’s fame was reinforced with the production of Petrouchka in 1911 and especially with The Rite of Spring, which incited a riot upon its 1913 premiere but was soon hailed for its revolutionary score. The closest friend from Stravinsky’s youth was Stephan Mitusov, the stepson of a prince. Mitusov translated the poems of the French poet Paul Verlaine (1884–1896) that Stravinsky set to music in 1910, and he arranged the libretto (text that accompanies a musical work) of Stravinsky’s opera The Nightingale. From approximately 1890 until 1914 the composer frequently visited Ustilug, a town in the modern Volyn Oblast, Ukraine. He spent most of his summers there, where his father-in-law had an estate. In 1907, Stravinsky designed and built his own house in Ustilug, which he called “my heavenly place”. In this house, Stravinsky worked on seventeen of his early compositions, among them Feu d’artifice, The Firebird, Petrushka, and The Rite of Spring. Recently renovated, the house is now a Stravinsky house-museum open to the public. Many documents, letters, and photographs are on display there, and a Stravinsky Festival is held annually in the nearby town of Lutsk. Stravinsky’s first major work, ‘Symphony in E-flat Major’, was composed sometime between 1905 and 1907. It was his first work for orchestra and also his first published piece. It was performed on April 27, 1907, by the St. Petersburg Court Orchestra along with ‘The Faun and Shepherdess’, another of his creations. In July 1907, he started working on his second orchestral piece, ‘Scherzo fantastique.’Completed on 30 March 1908, it was his last major piece written while Rimsky-Korsakov was alive. In the same year, Stravinsky also wrote another short orchestral fantasy called ‘Feud’artifice’ as a wedding present to Rimsky-Korsakov’s daughter. 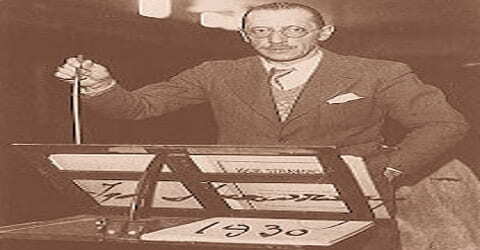 Stravinsky became an overnight sensation following the success of the Firebird’s premiere in Paris on 25 June 1910. The composer had traveled from his estate in Ustilug to Paris in early June to attend the final rehearsals and the premiere of The Firebird. Over the next four years, Stravinsky and his family lived in Russia during the summer months and spent each winter in Switzerland. During this period, Stravinsky composed two further works for the Ballets Russes: Petrushka (1911), and The Rite of Spring (1913). Shortly following the premiere of The Rite of Spring on 29 May 1913, Stravinsky contracted typhoid from eating bad oysters and was confined to a Paris nursing home, unable to depart for Ustilug until 11 July. Thereafter, Stravinsky concentrated on completing a ballet he had started composing in 1908. Titled ‘Le Rossignol’ (The Nightangle), the work was commissioned by the Moscow Free Theatre for a fee of 10,000 roubles. However, due to certain reasons, it was premiered by Ballets Russes on 26 May 1914 in Paris. The great impresario (sponsor of entertainment) Sergei Diaghilev (1872–1929) heard Stravinsky’s works in St. Petersburg and invited him to go to Paris, France, to write orchestral arrangements of Chopin’s (1810–1849) works for ballets that he was producing. Each scandalized (caused a debate among) the first audiences. The ballets were also unique and quickly became classics. The three ballets Firebird (1910), Petrushka (1911), and The Rite of Spring (1912–1913) together made Stravinsky’s influence on all the arts enormous. They established him as a leader of a heroic musical generation alongside older composers such as Maurice Ravel (1875–1937) and Arnold Schoenberg (1874–1951). World War I (1914–18; a war involving Germany, Turkey, and Austria-Hungary on one side, and Great Britain, France, Russia, Italy, Japan, and the United States on the other) prevented Stravinsky from writing more for Diaghilev’s company. The Russian Revolution (1917; two revolutions that first overthrew the monarchy then replaced it with the Communists) prevented Stravinsky from returning home from Paris. During the war, he lived in Switzerland, where he collaborated with the poet C. F. Ramuz on a series of works based on folklore, including The Soldier’s Tale (1918). This work deeply influenced Bertolt Brecht (1898–1956), Jean Cocteau (1889–1963), and other dramatists of the 1920s. The outbreak of World War I forced Stravinsky to flee Russia with his family and settle in Switzerland. He dealt with his homesickness by using Russian folklore as inspiration for his work, while other compositions from this time exhibited a jazz influence. Two of his best-known works from his Swiss period are Renard, composed between 1915 and 1916, and Les Noces, which he started in 1914 but didn’t complete until 1923. Stravinsky formed a business and musical relationship with the French piano manufacturing company Pleyel. Pleyel essentially acted as his agent in collecting mechanical royalties for his works and provided him with a monthly income and a studio space at its headquarters in which he could work and entertain friends and business acquaintances. Under the terms of his contract with the company, Stravinsky agreed to arrange (and to some extent re-compose) many of his early works for the Pleyela, Pleyel’s brand of player piano. Among the compositions that were issued on the Pleyela piano rolls are The Rite of Spring, Petrushka, The Firebird, and Song of the Nightingale. During the 1920s, Stravinsky recorded Duo-Art rolls for the Aeolian Company in both London and New York, not all of which have survived. Another ballet, begun in 1914, and finally orchestrated in 1923, was the grandest achievement of these years: Svadebka (Les Noces, or The Little Wedding). In it, the barbaric power of The Rite of Spring and the modern concision (shortness) of The Soldier’s Tale met in a serious affirmation of love. Along with these very diverse major works were several smaller ones, for voices and for instruments in various combinations. Outstanding among these was a memorial to Claude Debussy (1862–1918), Symphonies for Wind Instruments. The “farmyard burlesque” Renard (1916) is similarly based on Russian folk idioms, while The Soldier’s Tale (1918), a mixed-media piece using speech, mime, and dance accompanied by a seven-piece band, eclectically incorporates ragtime, tango, and other modern musical idioms in a series of highly infectious instrumental movements. After World War I the Russian style in Stravinsky’s music began to fade, but not before it had produced another masterpiece in the Symphonies of Wind Instruments (1920). In June 1920, Stravinskyshifted to France, where he lived until 1939. Initially, he received help from Leopold Stokowski but by 1924, he had earned enough to buy a villa at Nice. However, he lived mainly in Paris. This was also the period when he underwent a great change as a composer. So far, his works were mostly based on Russian sources but now he started following a neoclassical style of compositions. Important works of this period include the ‘Octet’ (1923), ‘The Concerto for Piano and Winds’ (1924) and ‘The Serenade in A’ (1925). Stravinsky took French citizenship in 1934. Having lost his property in Russia during the revolution, Stravinsky was compelled to earn his living as a performer, and many of the works he composed during the 1920s and ’30s were written for his own use as a concert pianist and conductor. His instrumental works of the early 1920s include the Octet for Wind Instruments (1923), Concerto for Piano and Wind Instruments (1924), Piano Sonata (1924), and the Serenade in A for piano (1925). These pieces combine a Neoclassical approach to style with what seems a self-conscious severity of line and texture. Though the dry urbanity of this approach is softened in such later instrumental pieces as the Violin Concerto in D Major (1931), Concerto for Two Solo Pianos (1932–35), and the Concerto in E-flat (or Dumbarton Oaks concerto) for 16 wind instruments (1938), a certain cool detachment persists. Stravinsky produced an opera-oratorio (a long work usually without action or scenery), Oedipus Rex, in 1927, and a ballet, Apollo, in 1928. The Fairy’s Kiss (1928), a ballet in tribute to Tchaikovsky, made use of themes from Tchaikovsky’s songs and piano pieces. The death of Diaghilev in 1929 marked the end of a social focus for much of Stravinsky’s work. Though Stravinsky became a French citizen in 1934, he was not able to win in France the recognition and security he needed. Sometime in 1939, Stravinsky was asked to deliver the Charles Eliot Norton Lectures at Harvard University during the 1939-1940 session. Therefore, he left for New York on 1 September 1939 and eventually settled down in Hollywood. Initially, he found it hard to adjust in the new surrounding in the USA and mixed mainly with émigré friends from Russia. Gradually, he was drawn to the growing cultural life of Los Angeles and became friendly with many authors and composers, especially Aldous Huxley. The Symphony of Psalms (1930) for a chorus of men and boys and an orchestra without violins became the most widely known of all of Stravinsky’s works after The Rite of Spring. At first, its seriousness seemed at odds with the worldliness of the ballets. Later it was often recommended as a good starting point for acquaintance with Stravinsky’s work as a whole. The theatrical works Persephone (1934) and A Game of Cards (1936) were as unique as the Symphony of Psalms. Stravinsky also wrote instrumental works on a grand scale: the Violin Concerto (1931), Duo Concertante for violin and piano (1932), Concerto for two pianos (1935), Concerto for chamber orchestra (“Dumbarton Oaks,” 1938), and Symphony in C (1940). Concurrently, Stravinsky’s professional life also began to bloom. He was nearly arrested for his rearrangement of the national anthem during a performance in Boston in 1944, but otherwise, he found a welcome reception in his new country. He became a U.S. citizen in 1945 after settling in Los Angeles and went on to enjoy more successes with such operas as The Rake’s Progress (1951) and Agon (1957). He composed several short pieces, including Ebony Concerto (1946) for Woody Herman’s band. His arrangement of the “Star-Spangled Banner” (1944) was too severe to become a favorite. Several projects for film music were begun, though none was completed. A collaboration happier even than that with Diaghilev developed with the New York City Ballet under George Balanchine (1904–1983). The first fruit of this collaboration was Orpheus (1948). 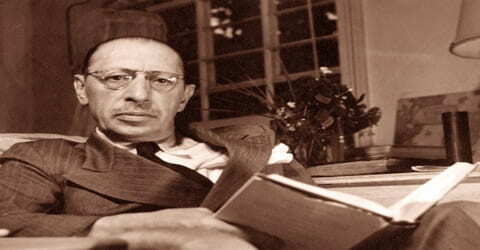 In 1948 Stravinsky undertook a full-length opera, The Rake’s Progress. This was a fulfillment of his mature ethical and religious concerns. The music included some of Stravinsky’s most melodious ideas. In 1951, Stravinsky completed his last neoclassical work, the opera The Rake’s Progress to a libretto by W.H. Auden and Chester Kallman based on the etchings of William Hogarth. It premiered in Venice that year and was produced around Europe the following year before being staged in the New York Metropolitan Opera in 1953. It was staged by the Santa Fe Opera in a 1962 Stravinsky Festival in honor of the composer’s 80th birthday and was revived by the Metropolitan Opera in 1997. Stravinsky’s professional life encompassed most of the 20th century, including many of its modern classical music styles, and he influenced composers both during and after his lifetime. Included among his students in the 1940s was the American composer and music educator Robert Strassburg. In 1959, he was awarded the Sonning Award, Denmark’s highest musical honor. In the early 1960s, his students included Robert Craft and Warren Zevon. The young conductor Robert Craft became Stravinsky’s devoted aide while he worked on the opera, and he introduced Stravinsky to the work of Anton Webern. During the 1950s Stravinsky studied Webern and gradually absorbed new elements into his own still evolving, still very individual, style. This is evident in the Cantata on medieval English poems (1952), the Septet (1953), the Song (1954) with dirge canons in memory of Dylan Thomas (1914–1953), the oratorio Canticum Sacrum (1956) in honor of St. Mark, and the ballet Agon (1953–1957). In 1962, Stravinsky went back to USSR for a short visit on the invitation of its government. This was his first visit to his homeland since the WWI. Here he met leading composers of the time such as Dmitri Shostakovich and Aram Khachaturian. 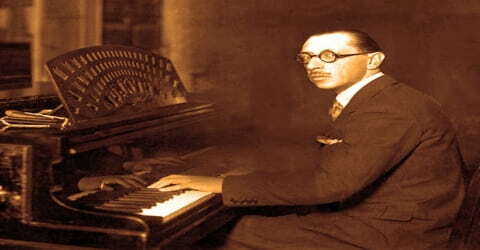 During this last phase, he mainly used serial compositional techniques such as dodecaphony and the twelve-tone technique. Some of the major works of this period are ‘The Rake’s Progress’ (1951), ‘Agon’ (1957) and ‘Requiem Canticles’ (1966) while ‘The Two Sketches of Sonata’ (1967) was his last original work. In October 1969, Stravinsky relocated to an apartment in Essex House in New York City. Among Stravinsky’s final projects was orchestrating two preludes from The Well-Tempered Clavier by Bach, but it was never completed. Though always in mediocre health (he suffered a stroke in 1956), Stravinsky continued full-scale creative work until 1966. His last major work, Requiem Canticles (1966), is a profoundly moving adaptation of modern serial techniques to a personal imaginative vision that was deeply rooted in his Russian past. This piece is an amazing tribute to the creative vitality of a composer then in his middle 80s. In 1959, Igor Stravinsky was awarded the Sonning Award, Denmark’s highest musical honor. In the early 1960s, his students included Robert Craft and Warren Zevon. 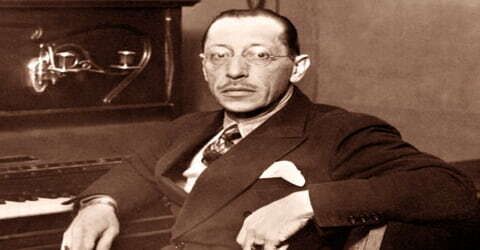 In 1962, Stravinsky received three Grammy Awards: Best Classical Composition by Contemporary Composer, Best Classical Performance – Orchestra, and Best Classical Performance – Instrumental Soloist (with orchestra). 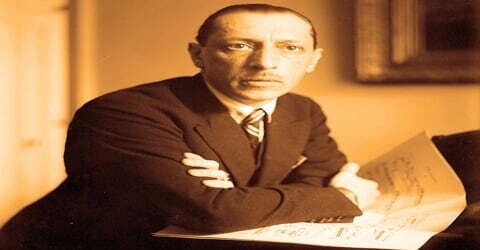 In 1987, Stravinsky was posthumously awarded the Grammy Lifetime Achievement Award. Besides, he had received the Royal Philharmonic Society Gold Medal in 1954, and Sibelius-prize in 1963. Igor Stravinsky has a star on the Hollywood Walk of Fame and in 1987 he was posthumously awarded the Grammy Award for Lifetime Achievement. He was posthumously inducted into the National Museum of Dance’s Mr. & Mrs. Cornelius Vanderbilt Whitney Hall of Fame in 2004. On 18 March 1971, Igor Stravinsky was taken to Lenox Hill Hospital with pulmonary edema where he stayed for ten days. On 29 March, he moved into a newly furbished apartment at 920 Fifth Avenue, his first city apartment since living in Paris in 1939. After a period of well being, the edema returned on 4 April and Vera insisted for medical equipment to be installed in the apartment. 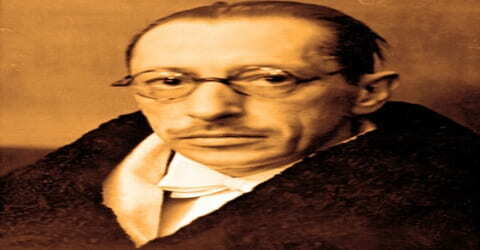 After a period of decline in his health, Stravinsky died at his Manhattan apartment on April 6, 1971, at the age of 88. The cause on his death certificate is heart failure. A funeral service was held three days later at Frank E. Campbell Funeral Chapel. 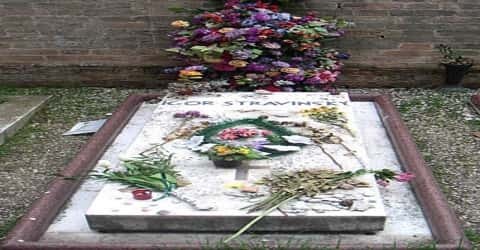 As per his wishes, he was buried in the Russian corner of the cemetery island of San Michele in northern Italy, several yards from the tomb of Sergei Diaghilev. Igor Stravinsky’s first major work was ’The Firebird.’ Premiered by the Ballets Russes on 25 June 1910 in Paris, the ballet not only earned the twenty-eight-year-old composer instant stardom but also led to his collaboration with Diaghilev and paved the way for equally successful productions like ‘Petrushka’, ‘The Rite of Spring’ and ‘Pulcinella. Stravinsky’s works of the 1960s continued to demonstrate complex rhythms and sounds, as well as fascinating harmony and counterpoint. These included Threni, i.e., Lamentations of Jeremiah (1958), A Sermon, a Narrative, and a Prayer (1961), The Flood (1962), Abraham and Isaac (1963), Requiem Canticles (1966), the unaccompanied Anthem on stanzas from T. S. Eliot’s (1888–1965) Quartets, The Dove Descending Breaks the Air (1962), the setting for voice and three clarinets of W. H. Auden’s (1907–1973) Elegy for JFK (1964), and the song for voice and piano on Edward Lear’s (1812–1888) poem The Owl and the Pussycat (1968). Stravinsky’s last major instrumental works were the Movements for piano and orchestra (1959) and the Variations for orchestra (1964), both of which were interpreted in ballets by Balanchine. Like that of so many masters, Stravinsky’s fame rests on only a few works and one or two of his more important achievements. In The Rite of Spring, he presented a new concept of music involving constantly changing rhythms and metric imbalances, a brilliantly original orchestration, and drastically dissonant harmonies that have resonated throughout the 20th century. Later Stravinsky was regarded as the typical rootless exile, a creative chameleon who could dart from style to style but who never recaptured the creative depth of his first masterpieces. Stravinsky’s approach to musical composition was one of constant renewal. Rhythm was the most striking ingredient, and his novel rhythms were most widely imitated. His instrumentation and his ways of writing for voices were also distinctive and influential. His harmonies and forms were more elusive (difficult to grasp). He recognized melody as the “most essential” element.